Spend five days exploring some of India’s most exquisite spots on this Goa holiday! You’ll stay in a hotel of your choice, enjoy convenient airport transfers, and most of all, gain an in-depth access to main Goan landmarks with guided sightseeing trips. 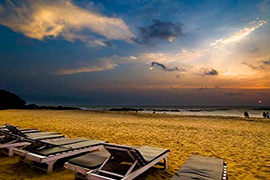 One of the key highlights is North Goa tour, which introduces you to a wonderful mix of beaches, full of life markets, age-old churches, and Portuguese mansions reflecting the colonial past. On this amazing tour, visit beaches like Calangute, check out Mapusa and Bicholim markets, and pay a visit to historic Fort Aguada as well as Gothic style Mae De Deus church. Equally beguiling will be a trip to South Goa, known for its laid-back ambience, beautiful beaches, remarkable wildlife reserves, and quaint heritage villages. Most of all, you’ll be captivated by the mind blowing natural beauty and serenity of Goa, as you make your way to the breathtaking Grand Island – the region’s largest as well as the most picturesque island. Take an enchanting boat ride, see playful dolphins, swim in the crystal clear waters, and enjoy fishing and snorkeling on this full day trip. Why should I make a booking with Rayna Tours? How can I make the Payment on your Website & is it Secure? You can make the payment online using a valid Debit Card or Credit Card. With all payments being processed on a highly advanced and protected payment gateway, we guarantee you utmost safety in terms of money transactions. When will I receive the voucher after the payment is done? As soon as your booking is confirmed and the payment is done, we’ll issue a voucher immediately and send it to you through email. Will I get a reference number for my booking? You’ll get a unique Booking Reference Number, which can be easily located in your booking voucher. Your Booking Reference Number typically begins with RT, followed by the reference number. For tours inclusive of transfers, do you offer to Pick up Service from any place? We offer round-trip transport for all tours inclusive of transfers. Pick up and drop off is mainly provided from centrally located hotels in City Center Areas in the particular City where the Tour is conducted from. Do you provide tickets attractions in the Country? Yes, we do offer flexible passes and tickets if its listed on our website. 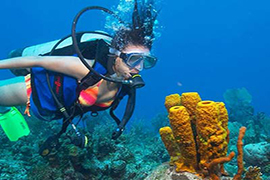 The Tickets depend in the form of eVoucher or a Hard copy as per the guidelines of these Attractions. Can I produce an eVoucher at the time of my Tour? Yes, you may produce an eVoucher at the time of your tour. However, it’s mandatory to carry a hard copy of the ticket or voucher when you visit a theme park or a popular landmark in the country. Without a valid voucher or ticket, your entry may be sometimes restricted. It is equally vital to ensure that you bring all relevant documents by way of ID proof (as required) for your tour. How long will it take for the refund of my canceled tour? This largely depends on the cancellation policies of your tour. However, some Tours are governed by Third Party Contracts and are liable as per third party policies. Normally it may take 7 working days. Is it possible for me to change or postpone the travel date once the booking is done? Yes, it’s possible to make amendments in your travel arrangements. But make sure that you send us an amendment request and get it confirmed well in advance of your travel date. Also, please be informed that amendments will be accepted only in accordance with the respective tour’s terms and conditions. Can I book multiple tours at a time? Yes, our easy to navigate website offers the flexibility to book multiple tours at a time online. Create the first tour by visiting the respective tour page and clicking ‘Book Now’. You’ll be redirected to the ‘Review Order’ page, where you can use the ‘Continue Shopping’ option to return to the tour listing page and make a further selection of tours. Repeat the same procedure until you’ve made all tour choices. Now click ‘Proceed to Checkout’ to add pertinent details and subsequently make payment. Do you offer a selection of Hotels on your Website for Packages? Yes, we do offer the selection of Hotels on our Website. You get multiple options for the Hotel selection according to the Star category. All you need to do is you just need to select an option of Hotel according to your requirement. Should I reconfirm my booking before the travel date? No reconfirmation of booking is required. Nevertheless, the booking of certain tours is subject to availability. In such a case, our Sales Representative will send you an email, clearly detailing the entire options about the tour availability, and book the tour or tickets according to your convenience. Despite scrolling down your tour listing page, I am not able to locate my preferred tour activity. What should I do? Use the convenient tour filter options seen on the tour listing page to easily narrow down your search by tour type, name or even price range. You can also make your search more specific by directly entering the name of your preferred tour activity in the given field on the listing page’s left-hand side and then clicking the search icon. Upon making the reservation and payment, how will I confirm whether or not it has been received by Rayna Tours? As soon as we receive your payment, we’ll send you a booking voucher via email. How can I share my experience with you? Simply follow this link to rate us or give feedback of your experience with us. We’d be delighted to hear from you and improve our services accordingly. It is Mandatory that all Guests carry their Photo Identity Proof as it needs to be presented at the time of your Check In at the Hotel. Hotel Rooms are subject to its availability.The Hotel Check In & Check Out time will be as per the Hotel Policy.Any early Check In or late Checkout is also on its availability with an additional charge. The Prices for the Packages or Government Taxes are subject to change without any prior notice. For all tours, the seating arrangement will be done by our tour representatives, depending on its availability. In line with travel programs or sometimes due to factors like traffic conditions, there will be changes in pick up and drop off timing. Our tours are suitable for people of all age groups. Kids aged below three years can accompany at parents’ own risk. Moreover, if the seating is arranged on sharing basis, kids should be seated on parents’ lap. Rayna Tours or its staff will not assume responsibility of any kind of damage, loss or theft of cash, ornaments, or other valuables left unattended in the vehicle or touristic spots. Our tours do not include dining; however we can arrange it upon request with an Additional charge. Charges apply for services not included in the package. Tour start time mentioned on Rayna’s website may vary up to 30 to 60 minutes. Before making a tour reservation, it is extremely significant that you carefully read and understand all terms and conditions pertaining to its pricing, inclusions, and timing. Littering public places may result in strict penalties. Refrain from smoking in public places. Be respectful to local customs and rule, and don’t attempt to make any kind of public display of affection. We reserve the complete right to reschedule an itinerary or route, adjust pricing, or even cancel a tour whenever, at our sole discretion, mainly if we deem it is vital for your safety or convenience. Unused inclusion in a tour package is non-refundable. Any guest failing to reach on time at the designated pick-up point will be considered a no-show. No reimbursement or alternative transfer will be arranged in such circumstances. Should a tour booking be cancelled or altered for reasons of bad weather, vehicle issue or traffic problems, we will make all sincere efforts to arrange alternative service with similar options, however, based on its availability. The arrangement of seating will depend on its availability and will be done by our driver or tour guides. 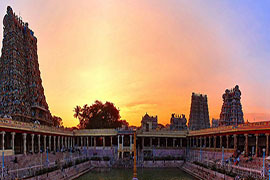 Coupon Codes can be redeemed only through online booking process. We reserve the right to charge 100% No Show charges if guests do not turn up on time for the pick-up. In any case the guest does not show up on time and our vehicle departs from the pickup location, then we will not arrange for alternative transfer & no refund is provided for the missed tour. Seating arrangement is done as per the availability & it is decided by the Driver or Tour Guide except in case of private transfers.